This mod attempts to emulate FO4 robobrains adding them an eye and animated bubbles to its dome. This mod attempts to emulate FO4 robobrains adding them an eye and animated bubbles to its dome. This mods does not require a plugin. 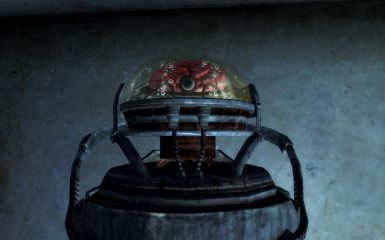 It replaces all robobrains models by animated ones. Watch video below. Extract .rar in your FO3 data folder. This mod is compatible with any texture replacer.